Our ability to print digitally with metallic silver and gold is not new, so what exactly is iridescent printing and how does it enhance your images? Embellished printing is set to grow by 27% between 2015 and 2020*, more than double that of standard cmyk digital printing. Marketers are constantly looking for ways to catch the attention of their market and the addition of specialised finishes like foiling; raised print and glitter, definitely catch the eye. Now that some of these traditionally very expensive processes are available digitally, they grant access to a much broader market. 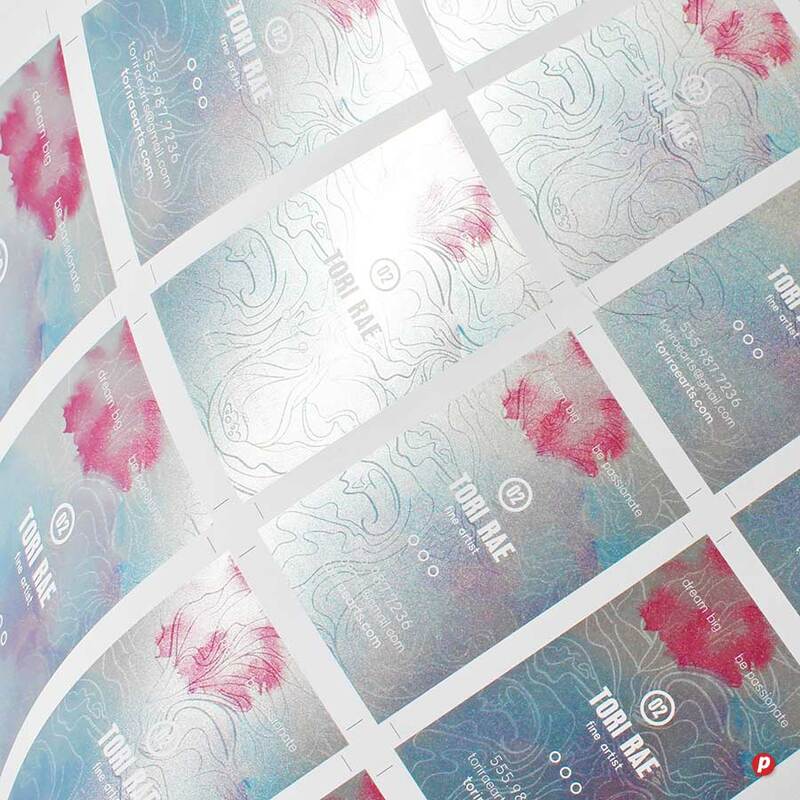 With our new iridescent printing, the metallic ink can be layed down either underneath or over your cmyk colours in varying opacities, creating a wide variety of different results that can be as wild and shiny or as sleek and subtle as your artwork requires. Further to that, the nature of digital printing allows for easy experimentation and endless flexibility without the barrier of the high set up costs associated with traditional methods. We predict that new forms of design will be born out of this innovative print technology. When combined with the metallics, the clear varnish has a dual impact: appearing glossy on top of CMYK, but having a matt effect when placed over metallic areas, resulting in unique positive and negative shifts of light as your paper is moved. When multiple passes of gloss varnish are applied, it creates a raised texture resulting in enhanced visual and tactile effects. To stand out from the rest, your printing needs to be unique and eye-catching. Iridescent effects are easy to create, affordable to apply, plus we have handy guidelines and colour charts available to help you with setting up. We are experimenting and learning more every day and we look forward to seeing what digital alchemy our creative customers will be capable of! To get you started we are offering you 20% off all iridescent printing if you order before 28 September 2018, (T&Cs apply).